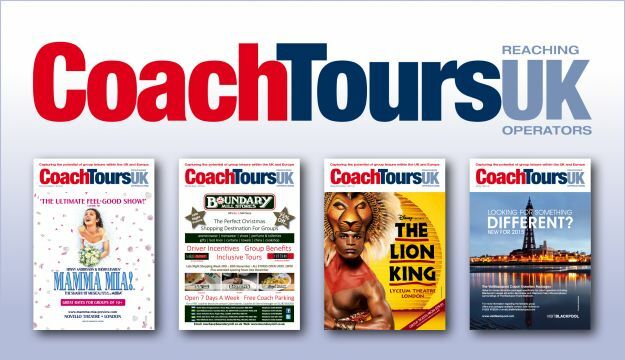 Independent Coach Travel (ICT) is pleased to announce that their latest Coach & Tour Operators Travel Planner featuring 25 new tour products is hot off the press with plenty of special events and themed breaks. There are some fantastic new short breaks in the UK, including Welsh Ghosts & Legends with a ghost tour of Cardiff and a Midsomer Murders & Morse’s Oxford trail. In addition, you can choose from a selection of twin centre tours to Jersey & Guernsey, a Tasty Welsh Food & Drink Tour, and a Steaming Through Scotland package with rides on famous steam trains and a cruise aboard a historic paddle steamer. Across the Irish Sea, look out for the Causeway Coast & Game Of Thrones tour, Tastes Of Donegal & Tyrone and a superb 9 nights Ireland’s Wild Atlantic Way multi-centre touring itinerary along the dramatic Atlantic coastline of the Emerald Isle. New tours across the Channel include Opal Coast Of Northern France, a chance to discover Auvergne’s Volcanic Secrets and a tour of the Dordogne & Périgord Vineyards with a river cruise aboard a traditional ‘gabare’. Further afield, clients can enjoy a Danish Royal Castles & Gardens twin-centre package in the land of Vikings, Hamlet and fairy tales, or a gourmet 8 nights twin-centre Tastes Of Tuscany & Umbria holiday with food and wine tasting. Special events include air shows in Duxford and Farnborough, balloon festivals, Christmas events at Castle Howard and Leeds Castle, flower shows and parades, a beer and pumpkin festival, plus London Winter Wonderland with Christmas markets and pantomime! For further details, contact ICT in the London sales office on 020 7538 4627 or Yorkshire sales office on 01909 547060.